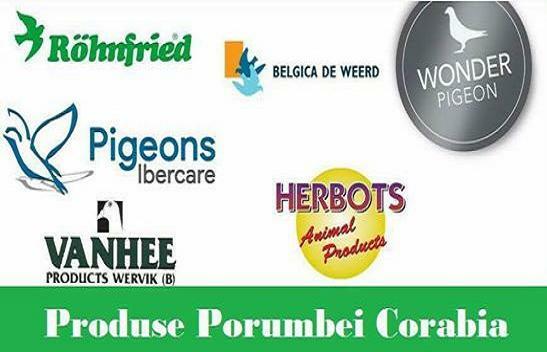 In 2009, Mr. Sorin Bivolaru from Finta – UCP Dambovita – can be proud of several top results achieved by his birds. 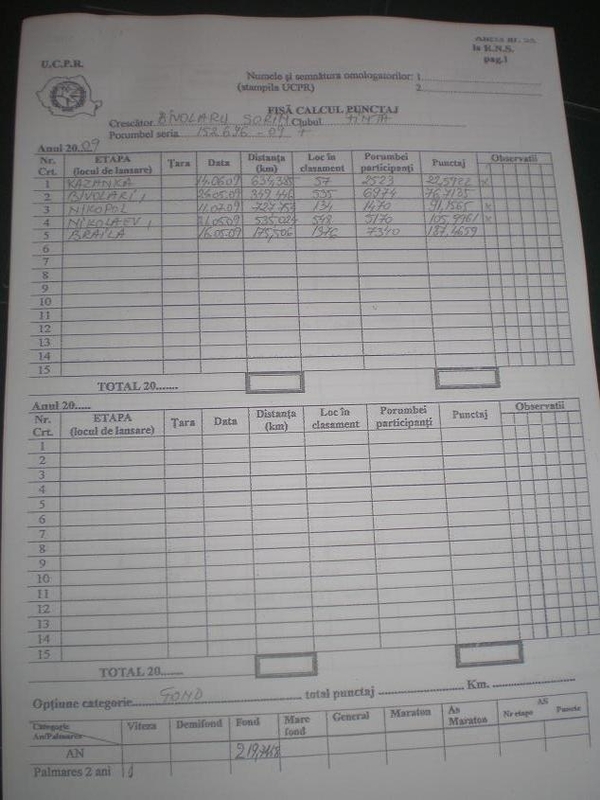 Such an outstanding result has been achieved by one of his hens, ringnumber RO-152696-2009, who surprised us all. She was bred early in 2009 and due to her cleverness she inspired the owner to basket her for long distance races together with the old birds early in spring. At the age of 5 months, this beautiful hen started the racing season. Her first race was from Braila (175 km) where she clocked into prizes. Then Bivolari (349 km) on 24th of May, then Nykolaev (535 km) in late May. On 14th of June, she was basketed for Kazanka (634 km) and won 57th prize out of 2523 birds. It continued with a very tough race from Nikopol (728 km), where she performed pretty well. Altogether, 5 prizes from 5 basketings, with 219,74 penalty points – long distance category. No sooner did the old birds season finished than this special hen began the youngsters racing season with an astonishing conclusion: 6 basketings, 6 prizes. And to make everything end up perfectly, this amazing hen won the 1st place within the final derby from Nykolaev (535 km). 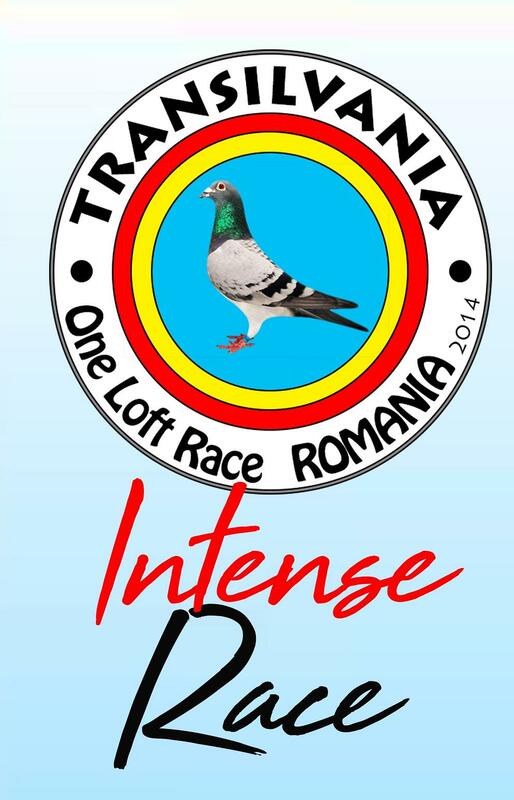 The competition was tough, against several clubs from Prahova, Bucharest, Buftea, Giurgiu and Campulung, summing up 1237 basketed birds. Hats off to this winning hen and it’s our duty to congratulate her because she definitely deserves it. According to our information, there are several fanciers who wish to buy this wonderful hen, but Mr. Bivolaru in not interested, at least for the moment. We further introduce you a few pictures with this blue hen, RO-152696-2009, and her racing file.